Need crisp and fresh new notes for Chinese New Year? Avoid the queues at banks and get it at pop up POSB ATMs islandwide. Every year, queues form at banks just before Chinese New Year. This is when all the Chinese couples and parents get crisp new notes to pack into their ang pows to hand out during the festive season. Following the success of the pop-up POSB ATMs last year, this year POSB and DBS customers can continue to enjoy easy withdrawal of new notes. 36 pop-up POSB ATMs will be in operation from 29 January islandwide. Alternatively, customers can choose from a combination of denominations and select preferred collection dates at full-service branches when they make their reservations online at DBS and POSB websites at www.go.dbs.com/sg-cnynotes or www.posb.com.sg/cnynotes, respectively. Those who wish to utilise the pop-up POSB ATMs will find them in 27 community clubs islandwide (up from 22 last year). The ATMs are available 24 hours every day, except for the POSB ATM at Chong Pang Community Club, which will only be available from 9 am to 10 pm daily. Customers can choose to withdraw notes in sums of S$100 (50 pieces of S$2 notes), S$400 (40 of S$10) and S$500 (10 of S$50). 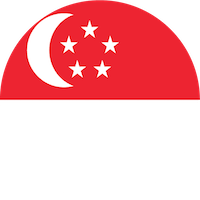 This year, a new combination allows customers to withdraw cash in sums of S$200 (100 of S$2), S$300 (50 of S$2 and 20 of S$10), as well as S$500 (20 of S$10 and six of S$50) at the machines. Last year, more than 110,000 customers used the pop-up POSB ATMs, the majority of them using the machines beyond banking hours or over the weekends, the bank revealed. The bank has also upgraded their machines to be able to hold more notes for dispensing. At the same time, it is also ready to receive customers who observe Li Chun. Customers who wish to do so may now deposit money into their bank accounts during the “lucky timings” via DBS PayLah!, and stand to win S$88. Cash deposits can also be done at over 440 POSB and DBS machines with cash deposit functions islandwide. The bank shares that an average of S$35 was deposited for each transaction during Li Chun in 2017. Will you be withdrawing your notes from the pop-up POSB ATMs this year? Let us know which ATMs are the best for withdrawals in the comments! Read more CNY related articles.